Only 100% ALL NATURAL Ingredients go into our Australian Oil of Eucalyptus! 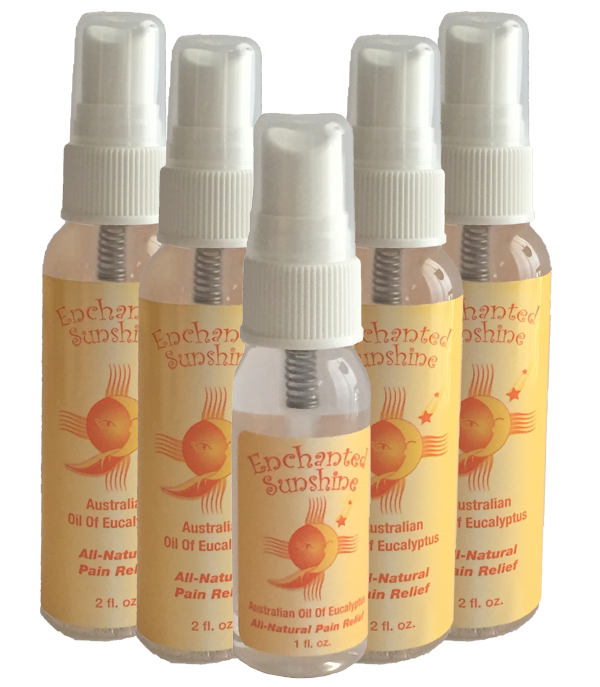 Enchanted Sunshine Australian Oil of Eucalyptus Ingredients are a unique blend of 100 % All Natural oils. They absorb quickly into the skin leaving it soft and smooth but not greasy. Our eucalyptus oil contain natural healing & antiseptic properties, making it great for a wide range of uses. 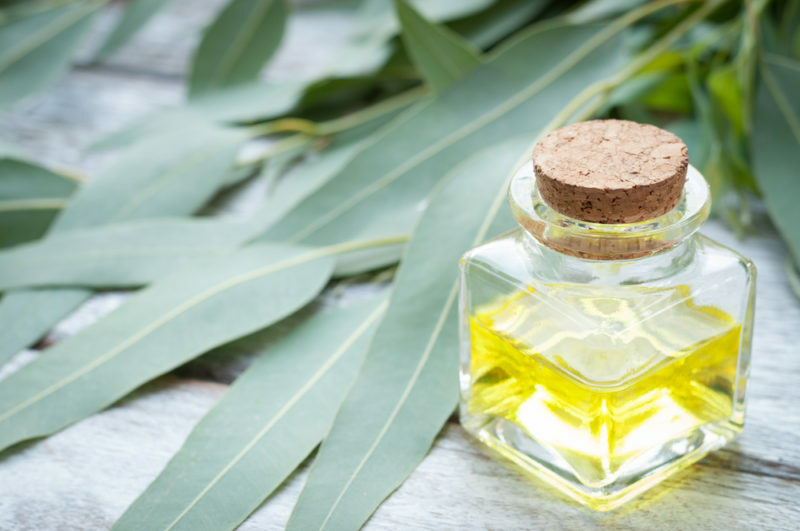 Starting with one of the finest of Eucalyptus plants, we utilize the Blue Mallee Eucalyptus, containing the highest concentration of the active ingredient in eucalyptus known as cineole. Our Eucalyptus Oil goes through a double distillation process when extracted leaves 88% cineole. Our Oil is USP Certified, rendering it free of any pollen and other environmental stressors. 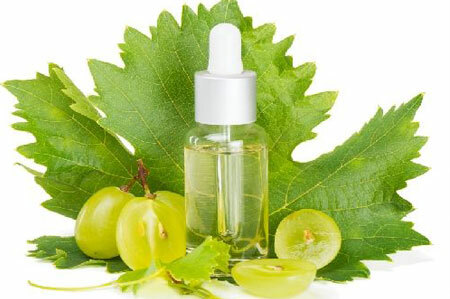 Grape Seed Oil possesses regenerative and restructuring properties that aids the skin in maintaining a healthy appearance. Antioxidant that neutralizes the effects of ‘free radicals’, has a deep penetrating property and is a natural anti-inflammatory. Jojoba is grown for the liquid was (commonly called Jojoba Oil) in its seeds. This oil is considered a ‘wax ester’ not a triglyceride, making jojoba and its derivative jojoba esters more similar to the oils produced by your body, as opposed to traditional vegetable oils. 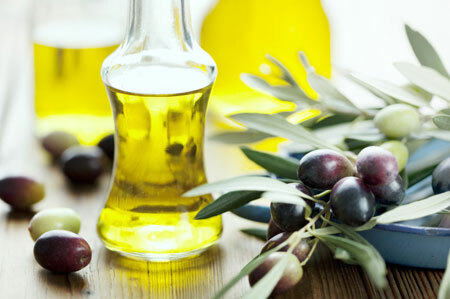 Jojoba oil is easily refined to be odorless, colorless and oxidatively stable and absorbed easily. 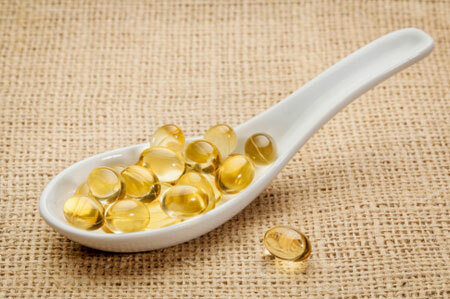 It contains components which assist in the rejuvenation of damaged skin. 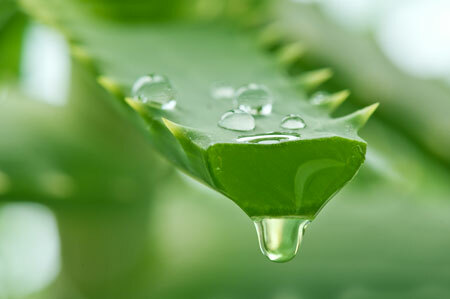 The Aloe Vera plant produces many natural antiseptic agents, effective against many bacteria. Widely known for its use as a burn ointment, but offers far more than burn relief. Aloe Vera has also been proved helpful in reducing pain by reducing inflammation, encouraging healing and skin rejuvenation. It is naturally hypoallergenic, and is a wonderful detoxifier & cleanser. Aloe Vera extracts have antibacterial and anti-fungal activities. An added bonus – Enchanted Sunshine Australian Oil of Eucalyptus contains trace amounts of Vitamin E, known for its antioxidant effects and it’s unique ability to repair damaged skin. Our unique blend of natural oils absorb quickly into the skin leaving it soft and smooth but not greasy.